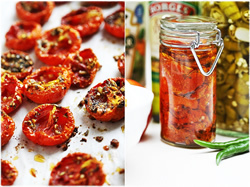 In this workshop you’ll learn about the different types of tomatoes and how to preserve them for future eating, including which methods are best for which types of tomatoes. Methods covered with include canning whole, crushed, diced and pureed tomatoes as well as how to dry them and freeze them. Last but not least she’ll share with you some of her favourite tomato recipes.Cathy will also discuss the different equipment and tools and show the techniques you need to know to be successful in your kitchen.